It takes a lot to move the Twitter discourse away from a potential Kentucky loss to Wofford, but that’s exactly what Mike Francesa managed to do with one huffy tweet. Wofford has to stay out of the paint in this game. That belongs to Cats. Good stuff there. Plenty of people were obviously curious as to what concerns Francesa would be addressing, and their curiosity only grew as Twitter waited longer and longer for the promised statement. Address the outright lies and outrageous misinformation, please! C’mon Chappy lets go. Make ya point, we don’t have awl day. I'm actually kind of nervous about this. Is he stepping down from his role as Shadow GM of the #Giants? It took nearly three hours for the promised statement to arrive, and when it did it was (perhaps predictably) a letdown. My deal with WFAN is simple. My deal with Entercom is complicated and involves WFAN, https://t.co/DPC5pzxj9G, the Mike’sOn app, CAA, Draftkings and a few other concerns. I have a long-term offer from WFAN. I haven’t signed it. I have told the company if I stay I would consider adding another person to the program. Nothing can be done in that area without my approval, and NOTHING has been done. The Mike’sOn app and its business relationships are important and must be considered. This needs to be decided quickly for Entercom, which has been accommodating, WFAN and the broadcasters it might impact. Would like to have it all done before the first Mets losing streak. As you can see, that leaves plenty of the world’s outrageous misinformation and outright lies unaddressed, which is really a shame. If you’re curious as to the context he is addressing, it’s this New York Post article from Andrew Marchand, in which Marchand reported that WFAN had considered bringing in Adam Schein as a co-host and/or eventual replacement. Already planning again for life after Mike Francesa, WFAN held recent talks to sign SiriusXM host Adam Schein, sources have told The Post. Several scenarios were proposed by WFAN’s VP of programming, Mark Chernoff, including the idea of even pairing Schein with Francesa for a short period before Schein would take over for Francesa when the sports radio icon signs off for good at the station. Ultimately, Schein will not be joining FAN, as he has opted to stay with SiriusXM, signing a new deal to remain the mid-morning show host on the station that bears the nickname of Francesa’s former partner, Chris Russo, Mad Dog Radio. 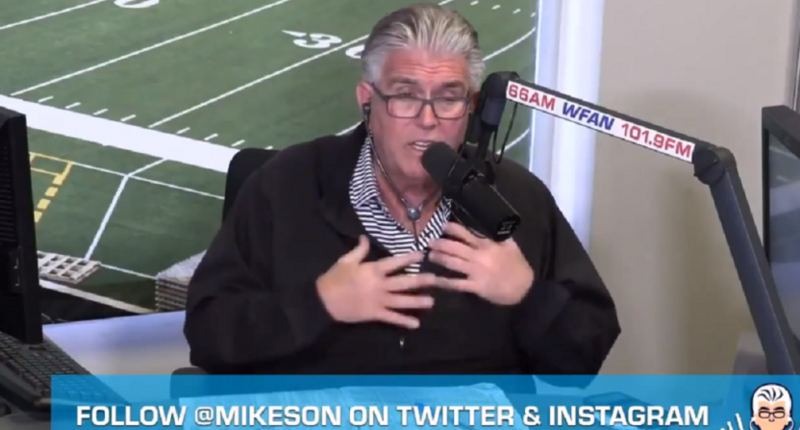 Why did Francesa choose today for this Twitter saga? And more importantly, why did it take him three hours to compose the statement? Well, we don’t know. But sometimes life is better when mysteries are left unexplained.